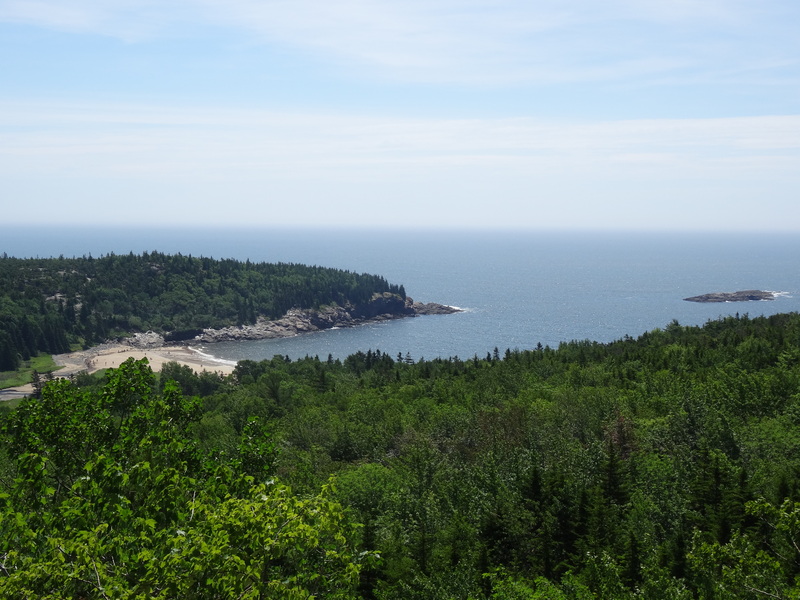 Trey and I had heard from multiple sources that Acadia National Park was one of the most beautiful national parks in the country, so it was one of the first destinations that came up in discussions as the possibility of our travels began to evolve. We arrived from Boston at the park’s Seawall Campground in the early evening, just as a line of rain that was preceding Hurricane Arthur caught up with us. Seawall is a popular walk-in campground located in the southwestern part of the park. 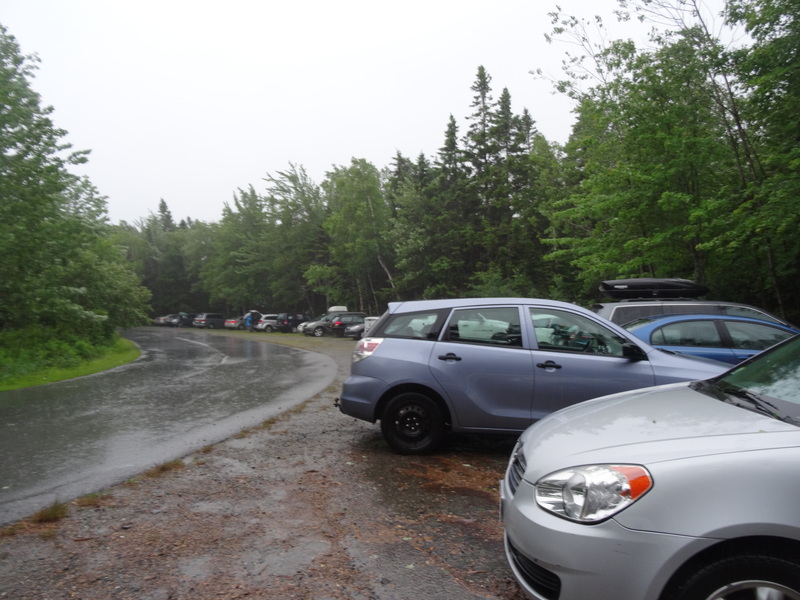 I was glad we had made reservations as the campground was completely full despite the weather. 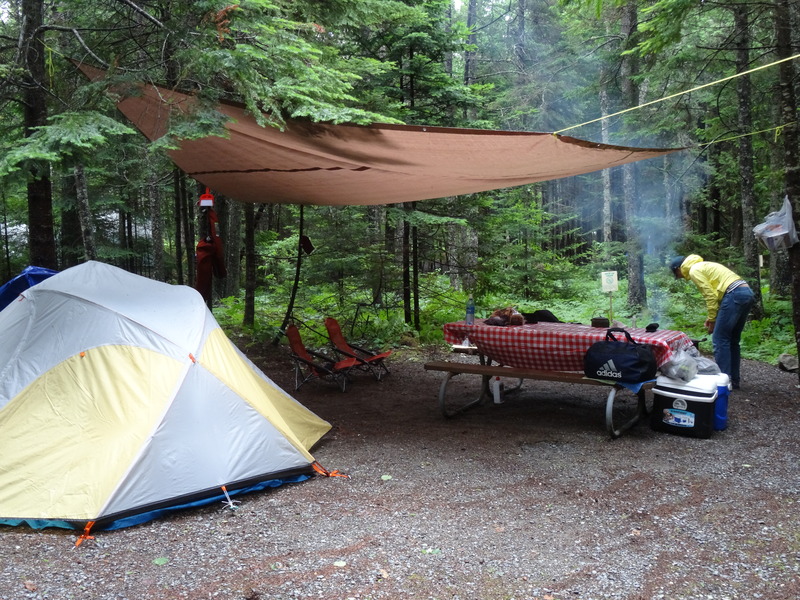 It was our second camping experience, and the second time we pitched the tent in rain. By sunset, the rain had strengthened and there was nothing else to do but crawl into the tent and call it a day. We were awoken three hours later – Arthur, now a tropical storm, had officially arrived. Gratefully, our campsite was in a bit of a valley and well shielded by tall pines. Maine’s early sunrise took both Trey and I by surprise. I guess if we’d thought about it, we should have expected sunrise by 5 a.m. or so, but no, we were not prepared for Maine’s 4:00 a.m. sunrises. We left camp about 7:00 a.m. to head into town for breakfast and to stock up on camping supplies. That was when we realized Arthur’s true fury – we ran into a large fallen pine tree on the foot path leading to the camp parking lot along with dozens of downed branches. We encountered the same scenes driving through Southwest Harbor. 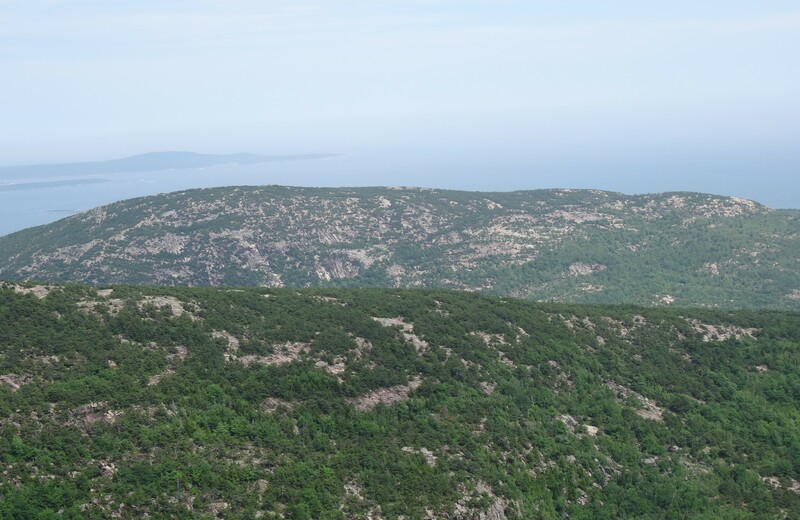 The island where Acadia National Park is located, Mount Desert Island, is mostly divided in half down the middle by the Somes Sound, which leads into the Atlantic Ocean — the island looks a bit like a pair of lungs. As there are no bridges that cross the sound, we had to detour about an hour around the left, or west, lobe of the island in order to leave it because a large fallen oak tree had completely cut off access to the main road. The drive to Ellsworth for groceries and supplies was another hour, so this simple task ended up taking up most of our day. It was fine though because not much of anything else could have been accomplished on the dark grey, windy, rainy day. When we finally returned to camp, the rain had turned into a drizzle and the remaining daylight allowed us to explore the campground and its surrounding trails. 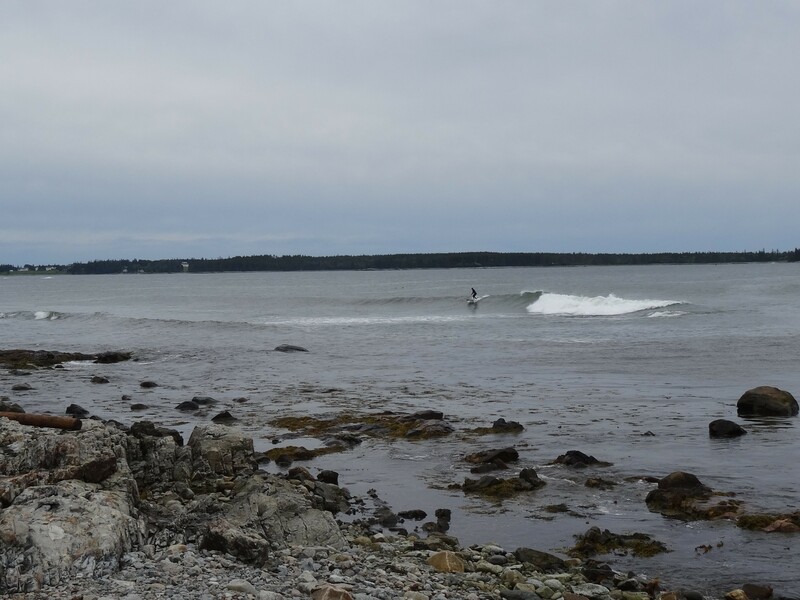 We headed to the seawall and watched some brave surfers taking advantage of the high waves. 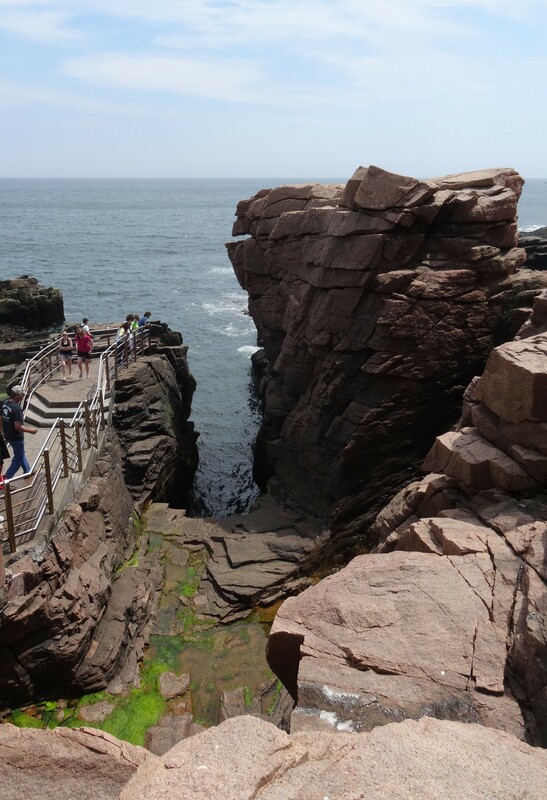 We walked out onto the rocks and admired the beauty of the northeastern coast line – the sight, we had longed to experience, did not disappoint. Sunday morning’s beautiful blue sky and bright shining sun was a much welcomed sight and gave us renewed excitement and energy for exploring Acadia. We first backtracked past our campsite to check out a light house that we had noticed on the island detour from the previous day. Bass Harbor Head Light is the official name, so I guess does not merit being called a “light house” due to its small size. 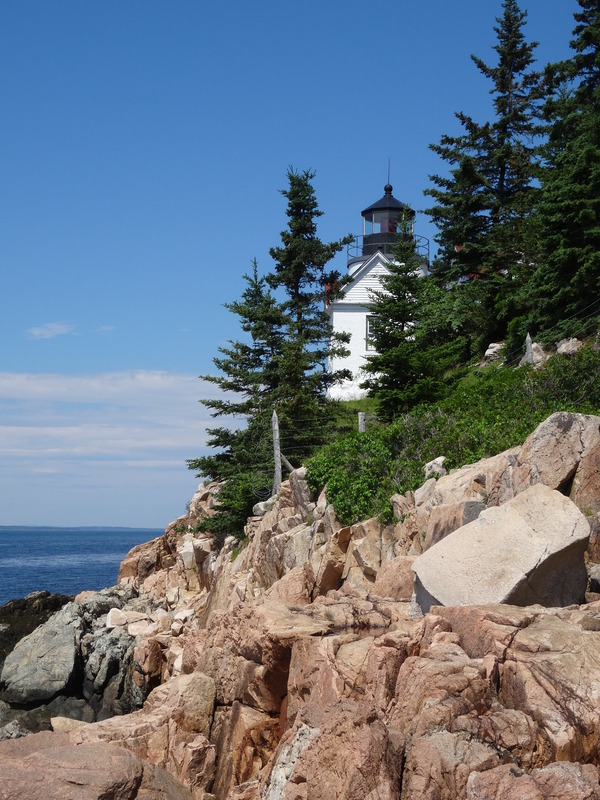 We were excited nonetheless, as it was the first such light structure we had both experienced up close, and we thought it looked very stately and noble looking out over Bass Harbor where it has guided vessels since 1858. 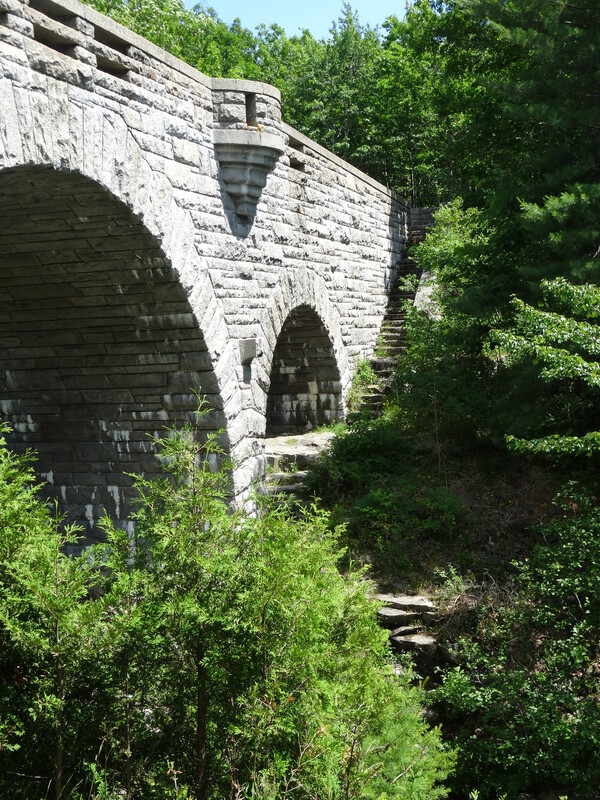 With bikes in tow, we then headed to the eastern lobe of the island where 45 miles of roads accessible only by foot, bicycle or horse were constructed from 1913 through 1940 through the philanthropic effort of John D. Rockefeller, Jr. The numerous interconnecting roads wind around lakes, through valleys and near coastlines of eastern Acadia. 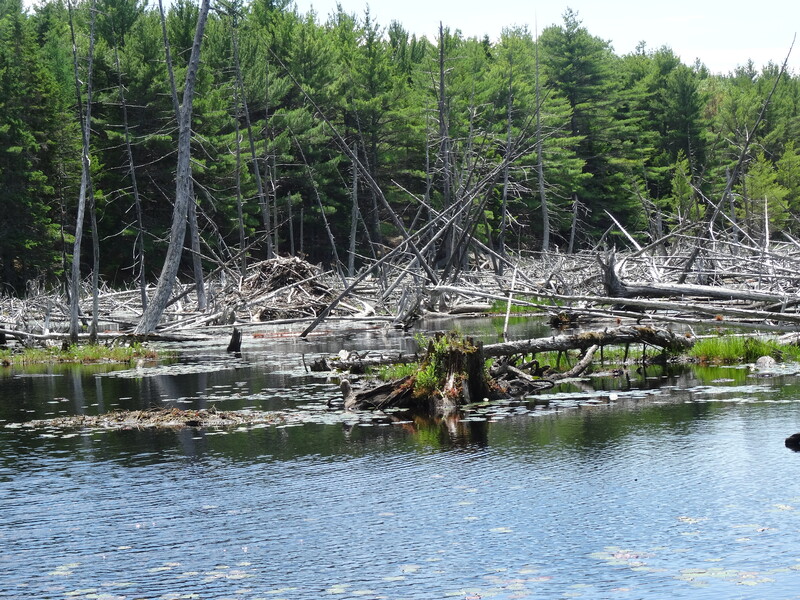 We selected a 13-mile route that would take us up to the northern coast of the island, loop southward crossing our starting point and then completing a figure 8 by looping further south around Eagle Lake. 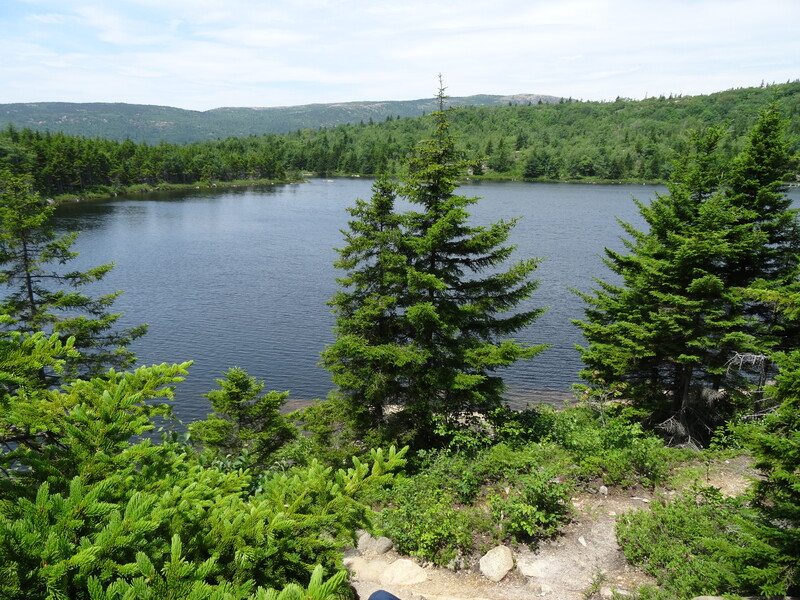 It was a perfectly beautiful day and the roads led us to gorgeous vistas of the Maine coast, along raging creeks, across impressive stone bridges, and up and down the hills surrounding Eagle Lake. 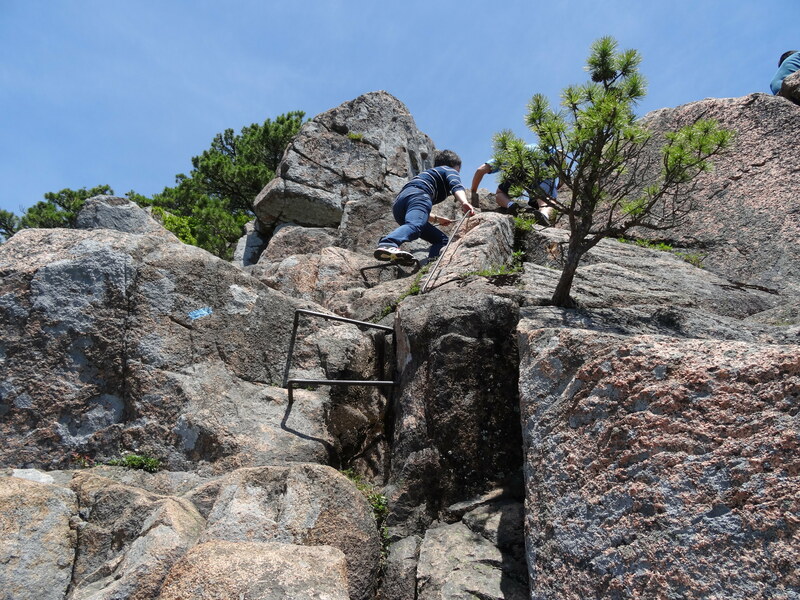 In May, prior to our travels, Trey had to have some minor oral surgery and when he told his surgeon of our plans, the surgeon told Trey of two “must do’s” – the first was to hike the Bee Hive trail in Acadia National Park, and the other was to drive up to the summit of Mount Washington in New Hampshire. He’d warned Trey that it was a strenuous hike and required climbing up rails that had been embedded into the rocks, but he also stated that the views were well worth it. 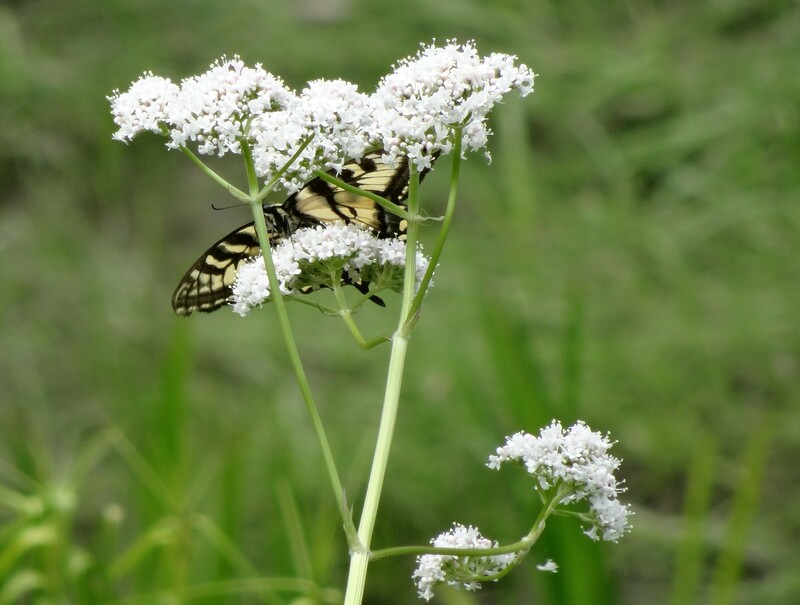 So we again headed to the east lobe of the park, this time taking Park Loop Road, a scenic one-way route along the eastern shoreline that loops around the south shore, then northward through the middle of the park. The Bee Hive trail head is on the eastern shore above Sand Beach. The hiking trail immediately headed upwards over rocks and through pines, and at times it was difficult to know if we were still on the trail due to all the rock. After about a quarter of a mile however, the path narrowed and trail markers started pointing us upwards…and up…and up. A particularly narrow pathway that towered over a rocky cliff had me shaking a bit, but we had gone far enough at that point that there was no turning back as people were coming up behind us and there’s only enough room for one person to pass on the hand and foot rails. 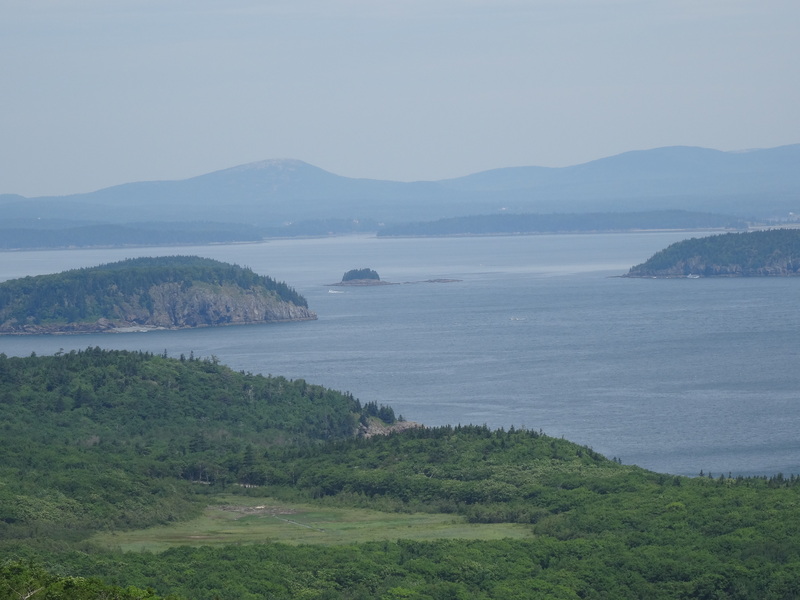 The vistas of the eastern coast line and of Bar Harbor, Maine were amazing, and I felt quiet accomplished once we safely reached the summit, which is only a mere 520 feet above sea level. Glad to have made it to the Bee Hive summit! After catching our breath and a quick snack, we continued on a much easier trail that led down to a small lake. Bowl Lake looked much like the glacier lakes found in the mountains of New Mexico and Colorado. We followed the path around about a quarter of the lake, and then headed around the base of Bee Hive “mountain” and back to Sand Beach. Following our hike, we continued driving around Park Loop Road stopping occasionally to take in the views of the Atlantic Ocean. 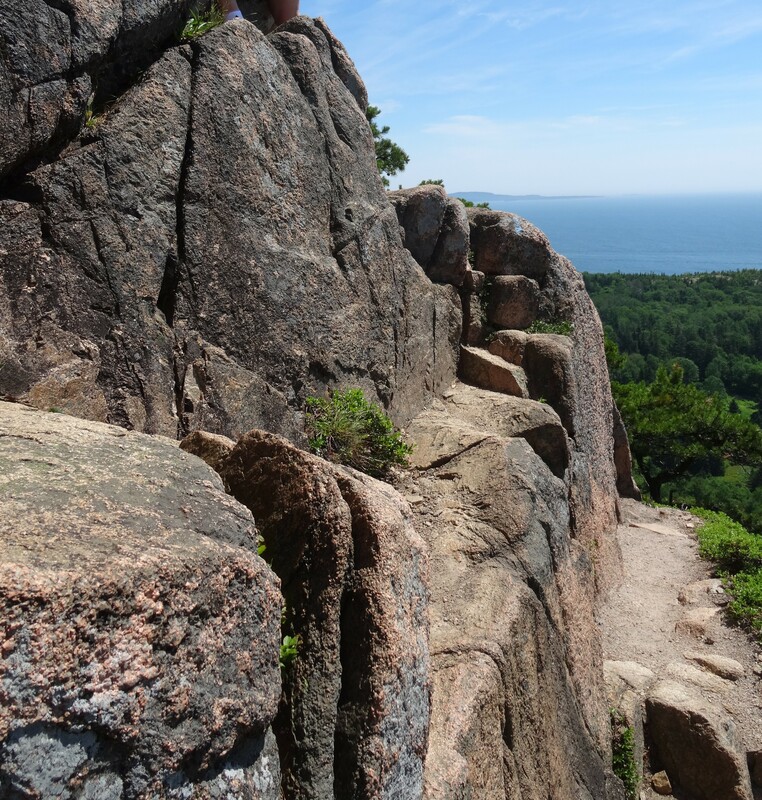 The road provides the only car access (there are several hiking trails) to Cadillac Mountain, the highest peak in Acadia at 1,530 feet. 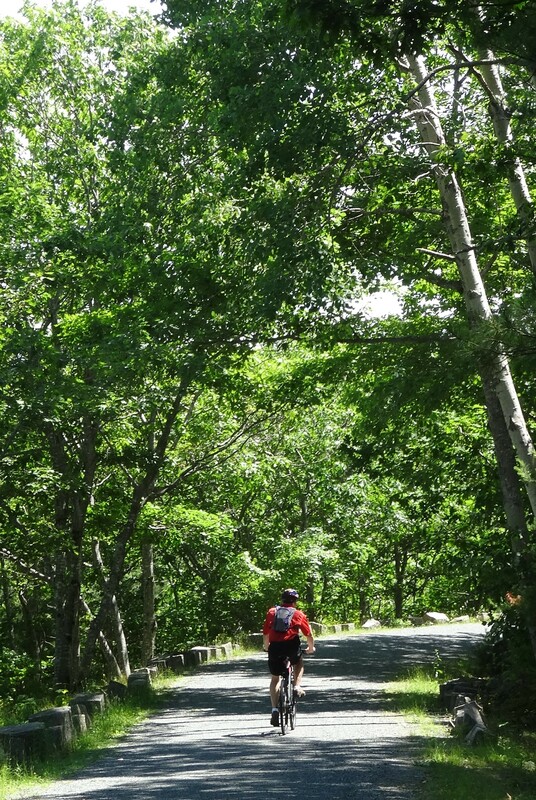 There is a paved path at the summit that provides panoramic views of the park and coastlines. The summit’s geography of rolling pink granite reminded us immediately of the Texas Hill Country (see feature photo at the top of this post). 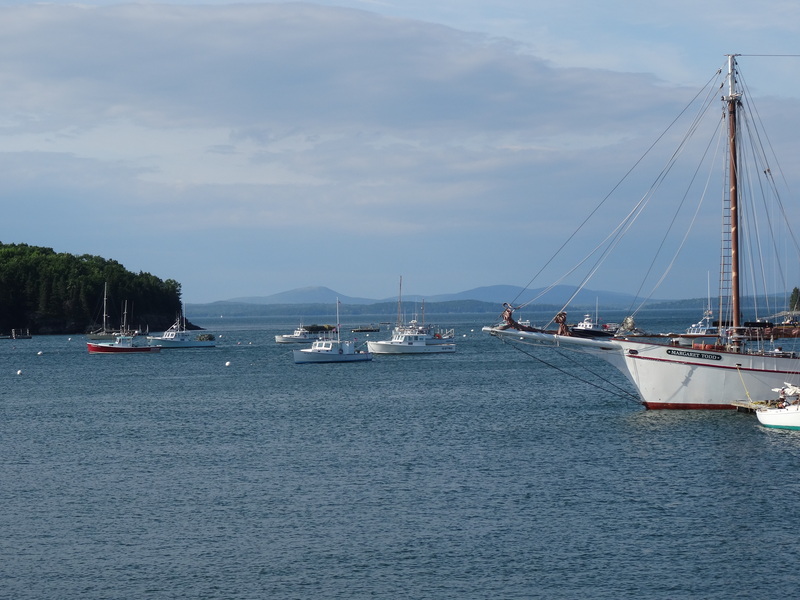 We ended the day, our last in the beautiful State of Maine, with a lovely Italian dinner in Bar Harbor. 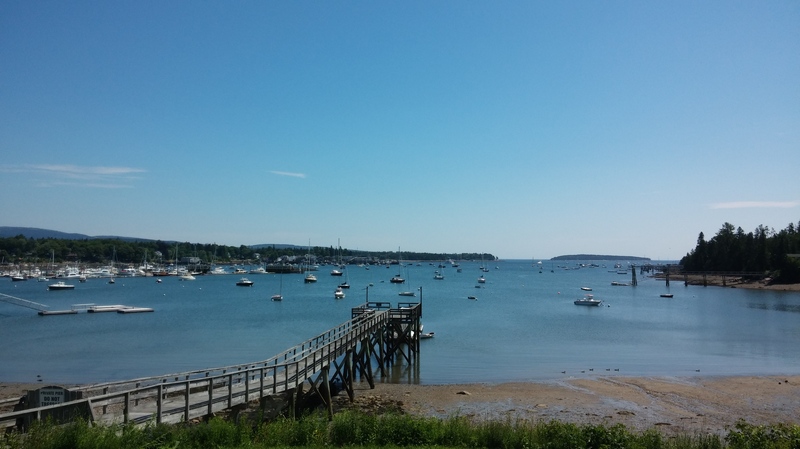 A quaint, but touristy, city on the northeastern shore of Mount Desert Island. The town of Southwest Harbor has several good eating options. We particularly enjoyed Little Notch Pizzeria, which has a menu that extends well beyond pizza, and for breakfast, the omelets at Eat-a-Pita are amazing. 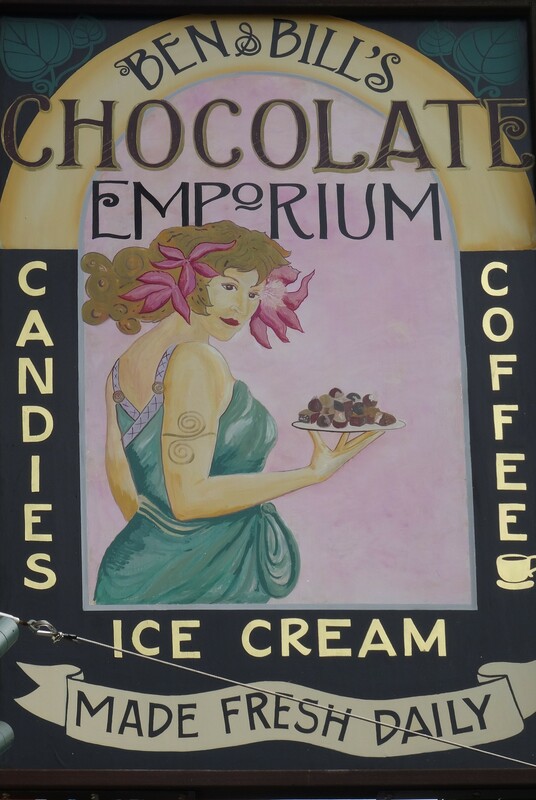 Ben & BIlls Chocolate Emporium in Bar Harbor has a huge selection of homemade ice cream that includes unique flavors such as margarita, coconut macadamia & KGB (Kahlua, Grand Marnier & Bailey’s with fudge swirl). We also loved their homemade dark chocolate clusters. 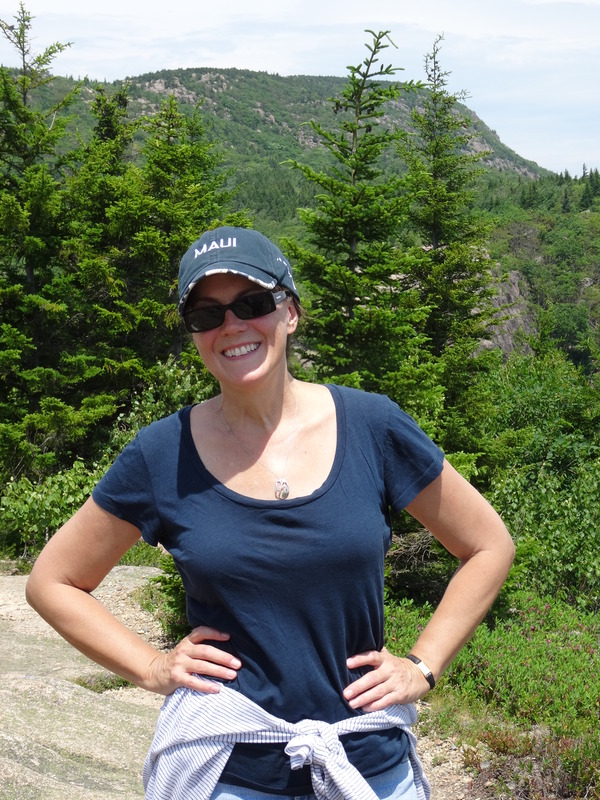 We had high expectations for Acadia National Park based on everything we had heard, and we both agree that those expectations were exceeded. Acadia has definitely been a highlight of our travels, and comes up consistently when we’re asked such questions. This looks so gorgeous! I am jealous beyond belief! Looks stunning. Now have to add it to the bucket list. Thank you for this in depth post! We are planning 3 nights at seawall 4 in bar harbor sept 2015. This was helpful! Good, I’m so glad you found it helpful!